Apple updates its iOS mobile operating system once a year. But why should the iPhone and iPad have all the fun? On Thursday Apple announced that it will release a new version of OS X — Mountain Lion — this summer, just a year after the release of OS X Lion. Apple updates its iOS mobile operating system once a year. But why should the iPhone and iPad have all the fun? On Thursday Apple announced that it will release a new version of OS X—Mountain Lion—this summer, just a year after the release of OS X Lion. Like Lion, Mountain Lion offers numerous feature additions that will be familiar to iOS users. This OS X release continues Apple’s philosophy of bringing iOS features “back to the Mac,” and includes iMessage, Reminders, Notes, Notification Center, Twitter integration, Game Center, and AirPlay Mirroring. Mountain Lion offers new features such as (left to right) Notes, Reminders, Messages, and Notification Center. As the first OS X release post-iCloud, there’s also much more thorough integration with Apple’s data-syncing service. Mountain Lion also brings options to limit which kinds of apps users can install. And although there are no actual mountain lions in China, OS X Mountain Lion does add a raft of features to speak to users in the country that’s Apple’s biggest growth opportunity. Mountain Lion will be a paid upgrade to OS X; like Lion, it will be available only via a Mac App Store download. Apple hasn’t yet set a price or a release date more specific than “summer.” Mac developers will be able to download a developer release of Mountain Lion on Thursday, giving them several months to update their apps to take advantage of the new features in the release. I’ve had a few days to use an early development version of Mountain Lion. Here’s a look at what’s new so far, keeping in mind that Apple may add and change features over the next few months as we get closer to the planned release. The new Notes app looks quite familiar. Mountain Lion comes with several new apps that will seem quite familiar to iPhone, iPad, and iPod touch users. Reminders, Notes, and Game Center have all made the move to the Mac. Reminders and Notes look very much like they do on iOS. And thanks to iCloud syncing, they’ll display the same data that shows up on your mobile devices. These are still quite simple apps—the goal seems to have been to provide parity with their iOS analogs. The Notes app does support rich text, so you can choose different fonts, insert photos and attachments, create bulleted lists, and drag in URLs to create hyperlinks. Game Center was introduced to users with iOS 4.1 in September 2010, and expanded in iOS 5. Now it comes to the Mac, letting Mac gamers find friends and compare their gaming prowess, as well as play against each other. Mac game developers get access to a centralized system for network play, opponent matching, in-game voice chat, and more. And yes, Game Center can work across platforms, so games that run on both Mac and iOS can interoperate. 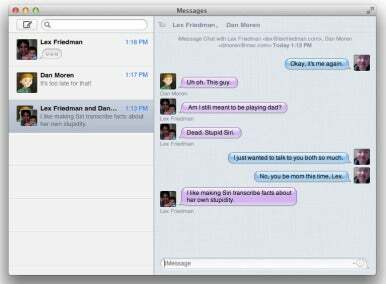 There’s never been a version of iChat for iOS—instead, Apple handles text messages using the Messages app. That app started life as the Text app, which was used just for SMS messaging on the iPhone, but when Apple introduced the new iMessage communication system, it renamed the app Messages. With Mountain Lion, the same thing’s happening to Lion. All the features of iChat are still there, but the app’s been renamed Messages and it now supports iMessage (and is now integrated with FaceTime). You can use Messages to send text or images to anyone on a device capable of using iMessage—namely, devices running iOS 5, and Macs running Messages. Unlike SMS text messages, the iMessage system transfers data via the Internet, so there are no text charges. Like Messages on the iPhone, Messages for Mac lets you hold multi-person chats and can optionally let people know when you’ve received and read their messages and when you’re typing a reply. An integrated video-chat button allows you to kick off a video chat with capable devices, either over AIM (as iChat has always done) or by launching the FaceTime app. For iOS 5 users who have been waiting for iChat to support iMessage, this is great news—but having to wait until Mountain Lion’s release this summer would be an exercise in frustration. There’s good news on that front: Apple says that Lion users will be able to download a beta version of Messages starting Thursday. The final version will be available in Mountain Lion. For more in-depth information on Messages, check out our Messages beta hands-on. Sometimes one of your apps needs to get your attention. For years, many Mac app developers have built their own (think reminder pop-ups in iCal or Microsoft Office). The open-source project Growl has for years attempted to create a more general notification system supported by lots of apps. 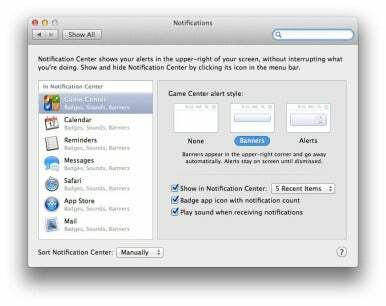 With Mountain Lion, Mac OS X gains a system-level notification system accessible to every developer, with features much like those already found in iOS. Alerts appear in the top right corner of the screen in a small bubble. Notifications remain there for five seconds, and then slide off screen to the right. Alerts, on the other hand, remain on-screen until you click on the Show or Close (or in the case of some alerts, Snooze) buttons. There’s also a new Notifications pane in the System Preferences app, analogous to the Notifications submenu in iOS’s Settings app. From here you can choose which apps appear within Notification Center and how their alert bubbles behave. You'll be warned if you try to turn off Gatekeeper. When Apple introduced the Mac App Store, the rumblings started: A lot of people wondered if the Mac was headed for an iOS-like future, one in which only Apple-approved apps could run on the Mac. But with Lion and now Mountain Lion, those fears haven’t become reality. You can still run third-party apps to your heart’s content. 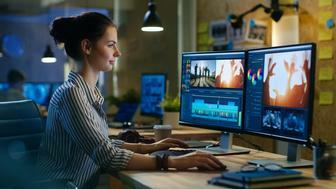 However, with Mountain Lion, Apple is introducing a new feature called Gatekeeper that allows users to choose for themselves what kinds of apps can be installed on their Macs. Right now, OS X checks an app the first time it launches, and displays a warning. It’s an attempt to prevent malware apps from launching when you never intended them to. In Mountain Lion, that feature has been extended and tied into a new setting in the Security & Privacy pane of System Preferences. By default, Mountain Lion will only let Mac App Store apps and Apps from “identified developers” launch for the first time. To become an “identified developer,” Mac developers have to register with Apple and get a personalized certificate, which they then use to cryptographically sign their apps. Apple doesn’t do any sort of background check on the developer, and it doesn’t see any of the software. Apple says that although these apps aren’t as safe as Mac App Store apps, they’re safer for a couple of reasons. First, a signed app can’t be modified (to add in some spyware, for example) without breaking the signature. By default, Mountain Lion will refuse to launch an app modified in that way. Second, if it turns out that an app from a particular developer is actually malware, Apple has the ability to revoke that developer’s license—at which point no future Mac users will be able to install software from that developer. The user can set Mountain Lion to be broader or narrower with the list of apps it’s willing to launch. There’s an option to allow only Mac App Store software to run, and an option to allow any app to run. The latter option is the equivalent of what’s been the case in all previous versions of OS X. 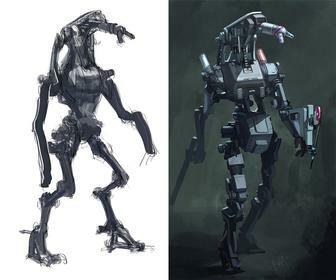 For a more in-depth look at Gatekeeper, read our Hands on with Gatekeeper story. A Share Sheet in Safari on Mountain Lion. Mountain Lion introduces an interface element inspired by iOS—Share Sheets. They’re a pop-up menu that appears when you click on the Share icon in an app. 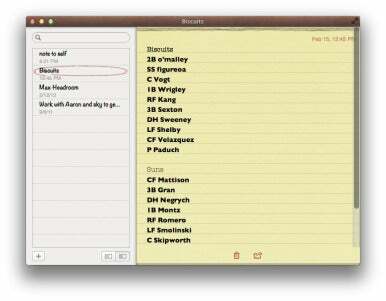 Apple has implemented Share Sheets in several Mountain Lion apps, including Safari, Preview, and Notes, and developers can add them to their apps as well. A Share Sheet provides a quick way to share whatever you’re working on—a photo in iPhoto, a webpage in Safari, a document in Notes—with other services. If you share a webpage from Safari, you can choose to insert it (or just its URL) in a new Mail message, or insert a link in a new message in Messages, or even compose a tweet containing the URL. From Preview, you can choose to email the document you’re viewing, send it via Messages, tweet it via Twitter, upload it to Flickr, or transfer it locally via AirDrop. Sharing a webpage to Twitter from within Safari. Most of these aren’t really new functions. What’s different is that Apple has centralized them and given developers access to this element, which presumably will lead to a more consistent sharing interface in future Mac apps. If that sounds familiar, it is: This is once again an example of the Mac taking a page from iOS, in this case from the Share button that’s found commonly throughout iOS. In most contexts, Share Sheets will include a Twitter option. That’s because Mountain Lion is joining iOS 5 in adding system-level support for the popular communication service. You can add your Twitter account information in the Mail, Contacts & Calendars system preference (which is just dying to be renamed to Accounts). Once that’s done, it becomes easy to quickly share items from just about anywhere via a Share Sheet. Select Twitter and a small floating composition window appears, allowing you to write and send a tweet quickly, without leaving the app you’re working in. Twitter integration doesn’t stop there. You can also use Twitter to populate the avatars of friends in your Contacts list with their Twitter profile pictures. (Yes, Address Book has been re-named Contacts in Mountain Lion to match its counterpart app in iOS.) Tweet notifications can also optionally appear automatically in Notification Center. The new Twitter preferences in the Mail, Contacts, and Calendars preference pane. Lion and iCloud were developed in parallel. As a result, while the current version of Mac OS X supports Apple’s suite of online services, it doesn’t truly embrace it. One of Apple’s goals in Mountain Lion is to truly integrate iCloud throughout the system. It starts at setup: In Setup Assistant, the system will ask you for your Apple ID and will sync your existing accounts, settings, and personal data. It might not be quite as thorough as restoring an iOS backup from iCloud, but the idea is that your iCloud account will unlock a whole bunch of Mac data so you don’t have to keep re-entering it on every new system you use. Mirroring a Mac screen to an HDTV is easy in Mountain Lion. iOS 5 introduced the concept of AirPlay mirroring, in which an iPad 2 or iPhone 4S can display the contents of its screen on any HDTV that’s connected to a second-generation Apple TV. The Mac joins the party with Mountain Lion, which will send a 720p video stream of what’s on your Mac’s screen to the Apple TV. When a Mac running Mountain Lion senses the presence of an Apple TV on the local network, an AirPlay icon appears in the menu bar. Click and select an Apple TV, and you’re mirroring. Safari's URL bar now features integrated search. Apple isn’t making a big deal about changes to the Safari Web browser in Mountain Lion, but I noticed a few new additions. There’s a Share Sheet in the toolbar, with options to add a page to Reading List, add a Bookmark, email the page, send the page to Messages, or share it via a Tweet. The Safari Reader button has gotten large and now sits just to the right of the address bar, turning blue when a page is eligible for reader. Gone from next to the address bar is the search box. Instead, at long last, Apple has unified the address bar and the search box. Now if you type “fourth doctor” into that box, you’ll get a bunch of links about Tom Baker instead of an error message telling you that Safari can’t find the website “http://fourth%20doctor/.” The address bar also now omits the http:// prefix on URLs, and while the main part of the site is displayed in black text, the rest of the URL displays in gray. The new Safari toolbar emphasizes the domain name of the page you're browsing and has a more prominent Reader button. And although I couldn’t find this feature in the version I tested, Apple says tat Mountain Lion will bring the ability to sync Safari tabs to iCloud, so your open browser tabs can sync between Macs. Apple’s had huge success in China lately, most particularly with the iPhone. With Mountain Lion, the company is trying to improve support for those who write in Chinese as well as recognizing that most of the popular sites that Apple integrates with OS X aren’t actually available within China. On the text-input side, Mountain Lion will offer better suggestions and corrections via a dynamically updated dictionary, something an Apple representative told me was because Chinese word usages are evolving rapidly. Apparently English words are often inserted in Chinese text, so Mountain Lion allows the mixing of Pinyin and English without switching between keyboard layouts. Apple says Mountain Lion also doubles the number of characters recognized by trackpad-based handwriting recognition. On the Internet services side, Mountain Lion offers support for Chinese alternatives to several worldwide services. Search-engine Baidu is now an option in Safari. Chinese microblogging service Sina weibo is supported in Share Sheets, just as Twitter is. In addition to Vimeo and Flickr, Mountain Lion will support sharing to Chinese video-sharing sites Youku and Tudou. And Mail, Contacts, and Calendar syncing will be supported to Chinese service providers QQ, 126, and 163. Of course, this is only the first disclosure by Apple about what’s in Mountain Lion. There are undoubtedly dozens, if not hundreds, of minor tweaks and small new features being added. And there might even be big ones as yet undisclosed—after all, we’re four to seven months away from Mountain Lion’s arrival. If you’re a Mac user, the best news about Mountain Lion is this: Apple doesn’t seem to be reducing OS X’s development cycle and putting it in maintenance mode. Instead, OS X releases seem to be accelerating, perhaps so that the annual release cycles of iOS and Mac OS X can feed off one another. It’s also clear that with both Lion releases, Apple is dead serious about making Mac OS X and iOS as synced up as they possibly can be, both in terms of interface and—thanks to iCloud—data. Mac users who aren’t fans of iOS might complain, but these days Apple sells many times more iOS devices than Macs in any given quarter. Having all of Apple’s products bear a family resemblance to one another can only help.